Dr. Lassi Heininen is Professor of Arctic Politics in the Faculty of Social Sciences, University of Lapland (Finland). He is also an Adjunct Professor at Trent University, Canada, and University of Oulu, Finland; Visiting Professor at University of Akureyri, Iceland; and Director of International Summer School in Karelia (Petrozavodsk State University), Russia. 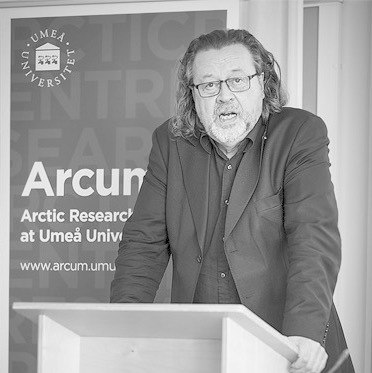 Additionally, Dr Heininen serves as Chairman of Calotte Academy; Chairman of the Northern Research Forum’s Steering Committee; Head of the Thematic Network on Geopolitics and Security Studies (a joint TN between NRF and UArctic); and Editor of the Arctic Yearbook, a peer-reviewed online international publication. Prof. Heininen teaches and lectures abroad regularly and supervises PhD students from Arctic and European countries. His research fields include International Relations, Geopolitics, Security Studies, Environmental Politics, Political History, European Studies, Russian Studies and Northern/Arctic Studies. He is an author of around 300 scientific publications. Among the latest ones are Future Security of the Global Arctic: State Policy, Economic Security and Climate and Security and Sovereignty in the North Atlantic (ed.) by Palgrave Pivot (2014 and 2016); “Northern Geopolitics: Actors, Interests and Processes in the Circumpolar Arctic” in Polar Geopolitics: Knowledges, Resources and Legal Regimes (eds. by Powell & Dodds, 2014); “Finland as an Arctic and European State” in International Relations and the Arctic. Understanding Policy and Governance (Cambria Press, 2014); Russian Strategies in the Arctic: Avoiding a New Cold War (with Sergunin and Yarovoy) by The Valdai Discussion Club (2014); and “Human security, the Arctic Council and climate change: competition or co-existence?” (with H. Nicol) in Polar Record (2013). Prof. Heininen is actively involved in and invited to speak at numerous international scientific conferences, seminars and workshops, as well as organising both academic gatherings and those implementing the interplay between science and politics (e.g. Calotte Academy, NRF Open Assemblies, International Summer School in Karelia, Arctic Circle Assembly). He has received the Knight’s Cross of the Icelandic Order of the Falcon, and was the Finnish Torchbearer of the Torch Relay to the North Pole for the Sochi Olympic Winter Games and the XI Paralympic Winter Games of 2014.